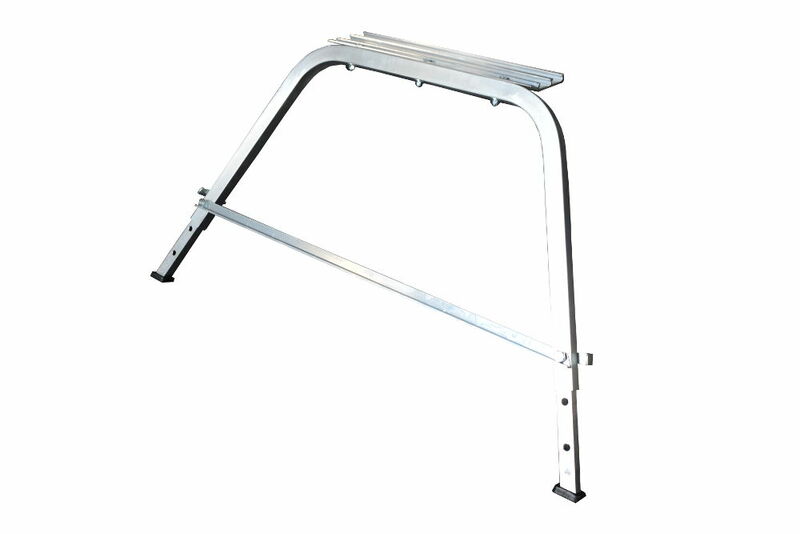 This robust aluminium stand off has over 3 feet span, which will hold the ladder between 17 and 24 inches clear of any wall, it makes access to the gutters and windows much easier. 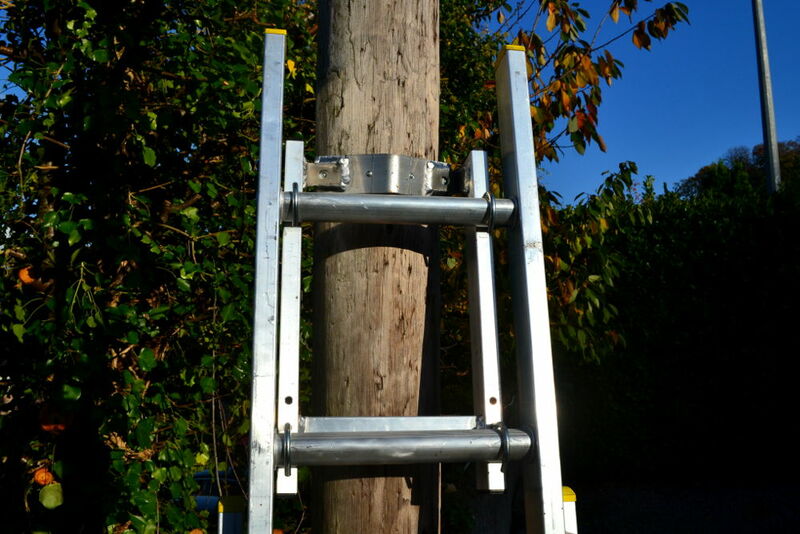 The stand off also improves the stability and safety of the ladder. 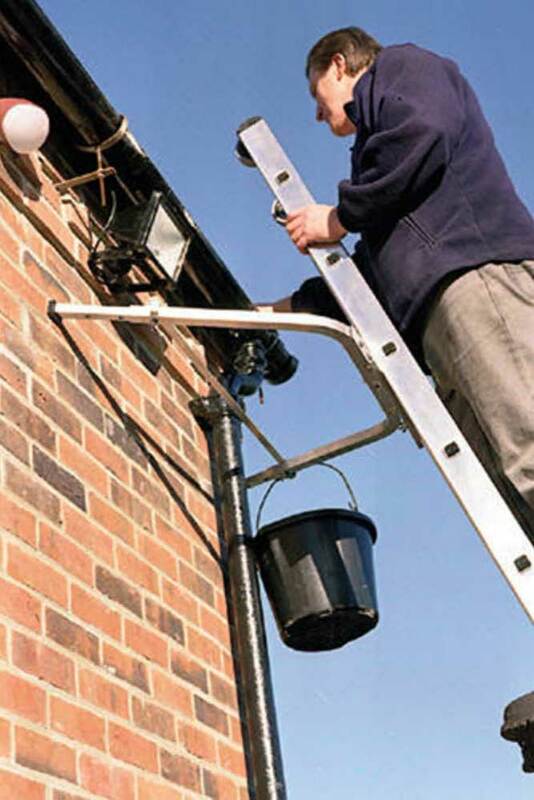 The ’V’ Type Stand Off is designed to fit around corners and over the gutter and it holds the ladder 250-400 mm clear of the wall. Easy roof-ride action. 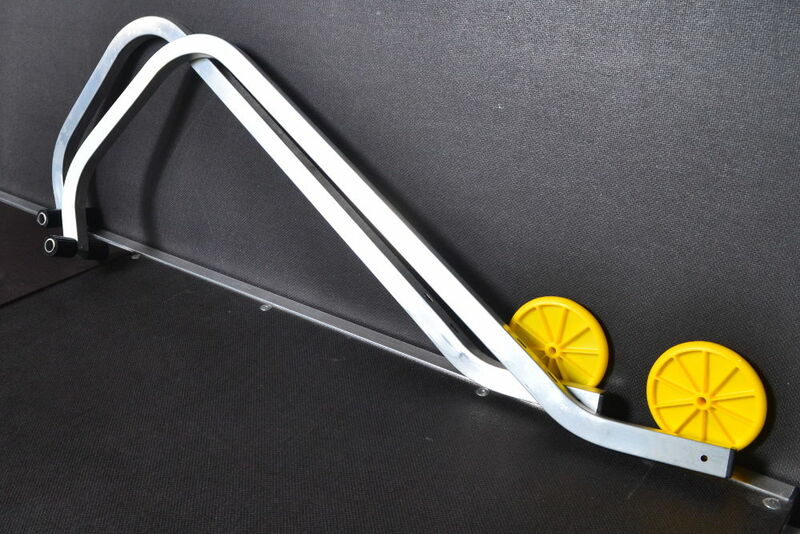 Strong 14-gauge aluminium complete with large wheels and fittings. 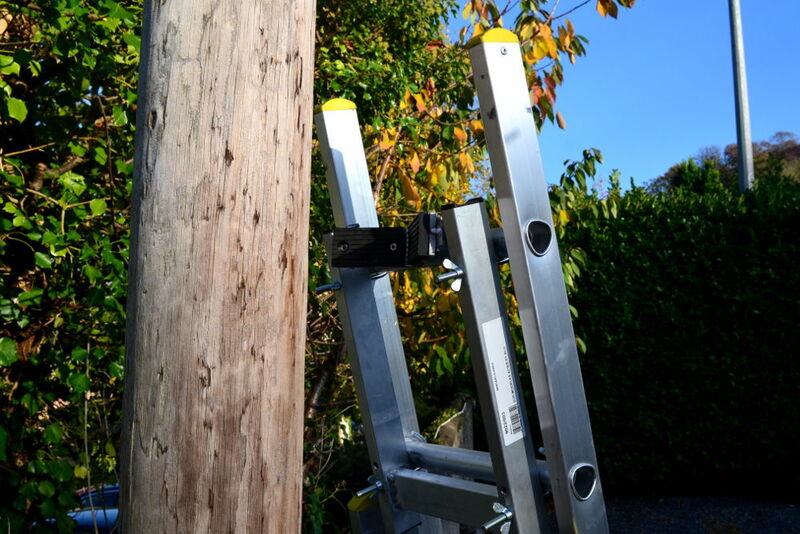 Clamps to the top of the ladder and transforms the extension ladder for use on the roof. 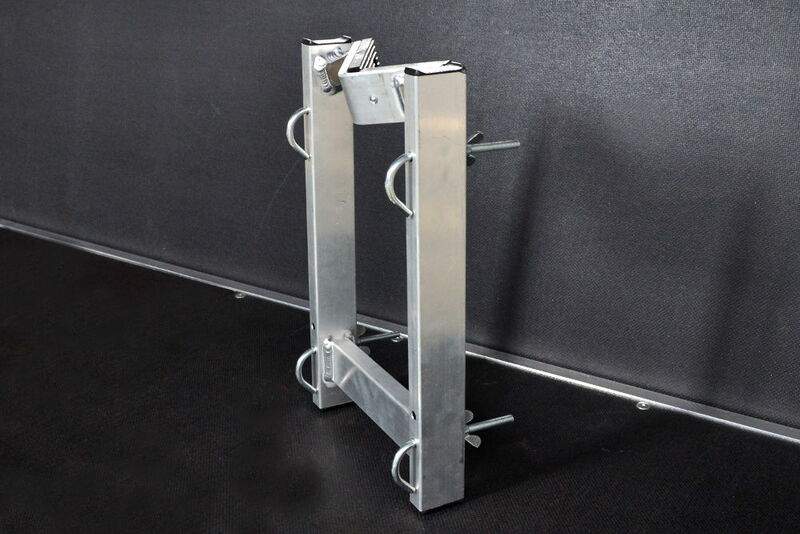 Very rigid and robust but really lightweight – only 1.8kg. 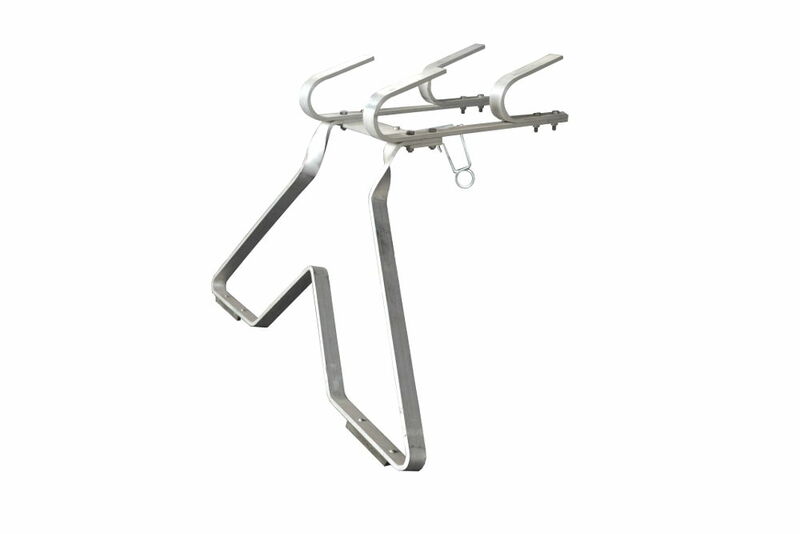 This product is made of aluminium alloy and simply hooks over two ladder rungs and is retained with two spring clips – fitted in just a few seconds. The remarkable “D-Wheels” are a standard fitting for safety and ease of extending. 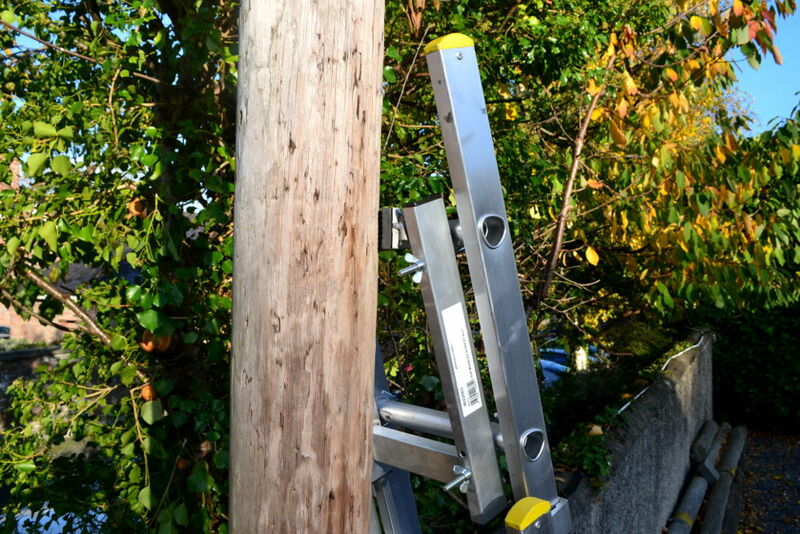 Ladders are instantly secured at the top before climbing up. Microlite can be fitted so that the ladder projects several rungs above a windowsill, giving a secure handhold and avoiding stretching or climbing too far up the ladder. 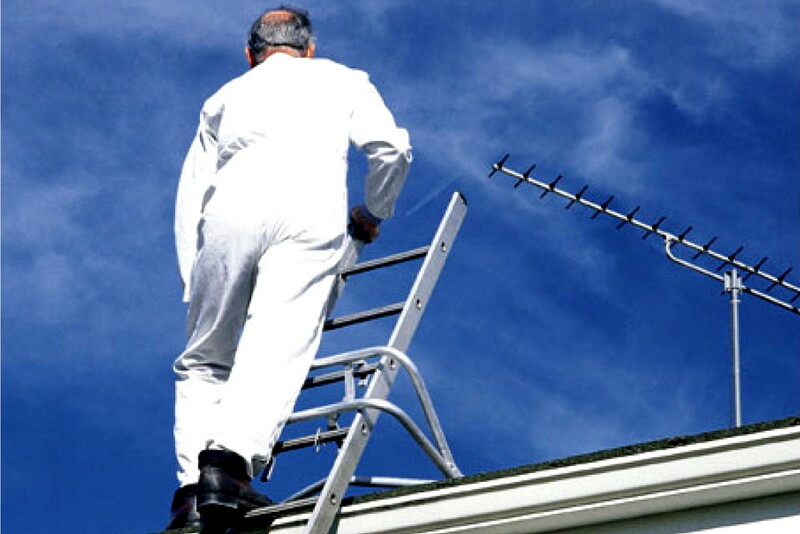 Fits all popular ladders, timber or aluminium, except window cleaners’ pointed top ladders. 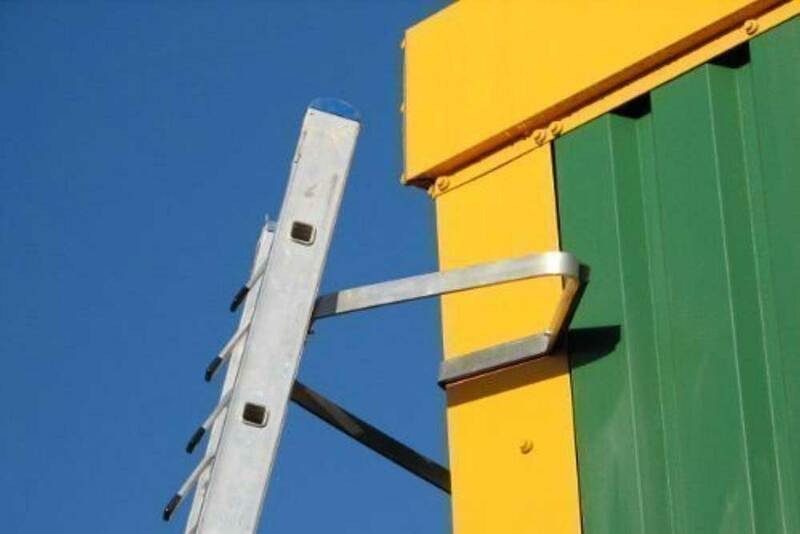 Extension ladders can be closed down completely without removing the Microlite. 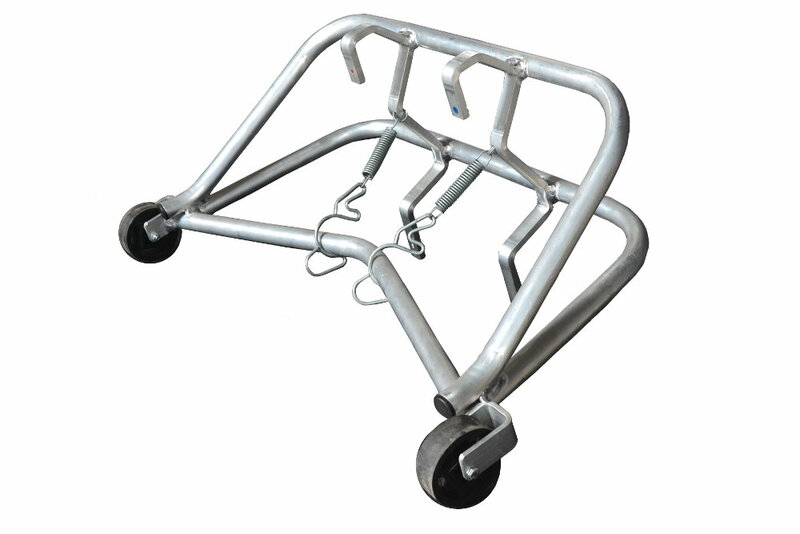 Secures the top of a ladder to lighting columns or masts before climbing up. 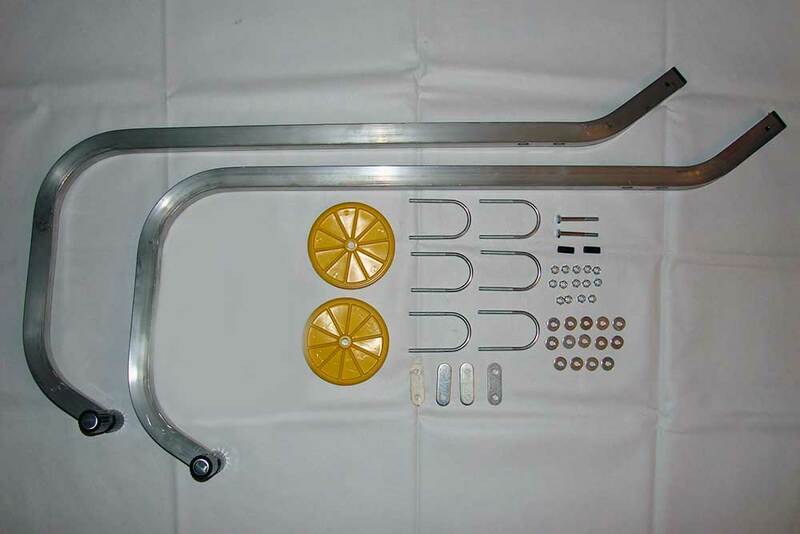 Unique Double Fork – Unlike ordinary centering devices, the upper and lower forks counter each other and virtually eliminate twisting on columns. Self-adjusting – The pivoting action keeps both forks firmly on a lighting column as it moves under load. Highly effective regardless of the ladder’s angle, the column diameter or the column profile. Fits all ladders of all popular makes and sizes.